The game is afoot! 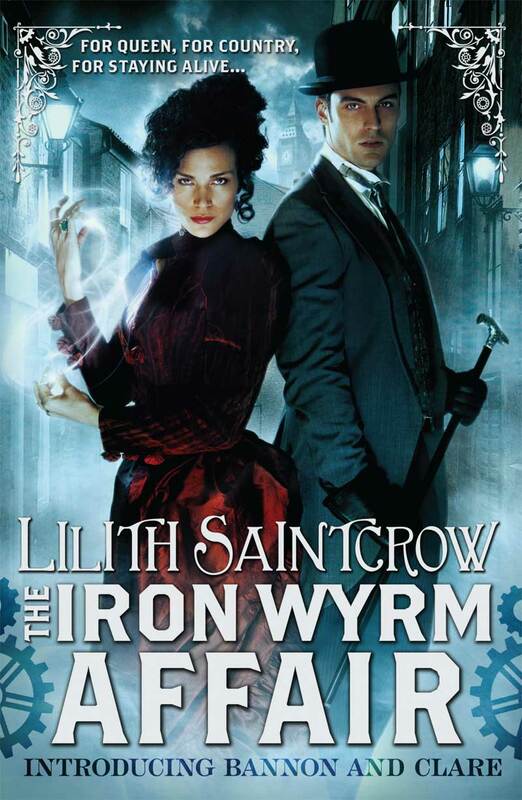 Read an excerpt from THE IRON WYRM AFFAIR. Deduction and magic combine in a new Steampunk series by Lilith Saintcrow that debuts next month. It’s the first book that features detective duo Emma Bannon and Archibald Clare. Here is the first chapter. Enjoy! Emma Bannon, Sorceress Prime and servant to Britannia’s current incarnation, mentally ran through every foul word that would never cross the lips of a lady. She timed them to the clockhorse’s steady jogtrot, and her awareness dilated. The simmering cauldron of the streets was just as it always was; there was no breath of ill intent. Of course, there had not been earlier, either, when she had been a quarter-hour too late to save the other unregistered mentath. It was only one of the many things about this situation seemingly designed to try her often considerable patience. Mikal would be taking the rooftop road, running while she sat at ease in a hired carriage. It was the knowledge that while he did so he could forget some things that eased her conscience, though not completely.